There is no one-size-fits-all when it comes to dentistry. One set of teeth and gums is totally different from the next — and that means no two treatment plans are exactly the same. This is true when it comes to dental implants, too. The complexity of your particular case can depend on how healthy your jaw bone is, whether you have had gum disease, and more. When we say complex, we don’t mean difficulty in completing the procedure. Dr. Kostas is a dental implant expert with years of experience placing and restoring dental implants. Rather, complexity refers to the existence of certain factors that must be figured into the treatment plan. These are unique attributes that could affect the final form or function of the dental implants — and appropriate considerations must be made when accounting for them. For dental implants, a range of factors can make one case more complex than another. These considerations may include everything from the health of your jawbone to whether or not you have experienced or are currently dealing with gum disease. How strong your jawbone is. If you have been missing teeth for many months or years, you may have experienced considerable loss of bone tissue that will require a preliminary procedure to increase volume and improve the chances of your dental implants being successful. Whether or not you have had gum disease, patients who have had moderate to severe gum disease may have lost bone or gum tissue as a result. A bone graft will usually be required in these cases. The current state of your gum health. If you are dealing with gum disease right now, you may need to have periodontal therapy performed before you can undergo dental implant placement. Overall health. If you have a weakened immune system, you may be at a higher risk of dental implant failure. Smoking and tobacco use. Tobacco use of any kind inhibits the body’s ability to heal properly, making dental implant placement more complex. 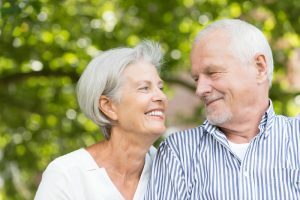 Even if you have a complex case, you can likely still benefit from the multitude of advantages of dental implants if you visit a true expert for the procedure. Don’t be afraid to ask your restorative dentist in Burlington about the details of your particular case and how they will work to make sure your dental implants look, feel, and function just like your natural teeth! Dr. James P. Kostas is a trusted dentist providing comprehensive care for patients of all ages. From general dentistry services to complex dental implant placements and everything in between, he does it all with a touch of artistry and a lot of skill. To learn more about his services or to schedule an appointment with your dentist in Burlington, we invite you to contact Complete Dental Care at 781-272-0441.